When family dynasties implode, high-stakes divorces end in bloodshed and rich decadence turns to death, the old adage that money doesn’t buy happiness is proven true once again.BEHIND MANSION WALLS shares the stories of crime and investigation that unfold behind the veil of wealth, where secret affairs, hidden accounts and false identities are just the tip of the iceberg. As the long time respected chronicler of high society and its duplicitous affairs, host Christopher Mason relies on his unique vantage point and vast experience to help reveal the secret realities lurking within these mansions. Handsome, charming, and a fixture on the New York City club scene, Dean Faiello had built a thriving beauty business. But money was never enough for Faiello, whose hard-partying ways constantly left him on the edge of ruin. So he did the unthinkable and worked as a cosmetic surgeon–even though he had no medical degree, or training whatsoever. In the spring of 2003, a beautiful, successful woman named Maria Cruz went to “Doctor” Faiello for a relatively simple cosmetic procedure…and succumbed to a fatal complication while under his care. Faiello allegedly buried her corpse beneath a concrete slab at his Newark, New Jersey home–and went on the run. It was only after Cruz’s body was found that the true callousness of Faiello’s plan would be dissected…and he would be accused of putting her UNDER THE KNIFE! I welcomed this bevy of Aussies into my home–the crew from Beyond Productions. 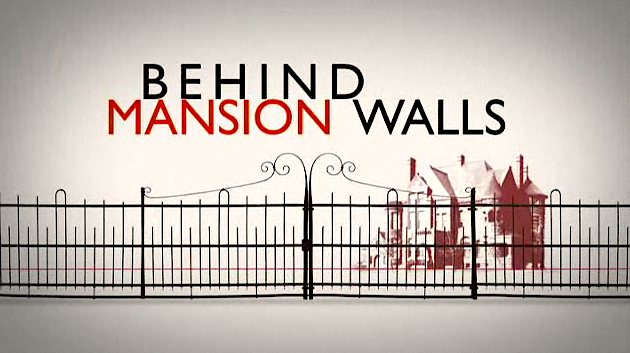 They interviewed me for an episode of Behind Mansion Walls, the show that stars the quirky British-born New YorkerChristopher Mason as host and airs on the Investigation Discoverychannel. We talked about Dean Faiello and the death of Maria Cruz, the subject of my true crime book,Under the Knife. Dean was facing charges of practicing medicine without a license at the time he treated Maria Cruz. An injection caused Maria to go into convulsions. Instead of getting her the help she needed, Dean gambled with her life and Maria lost. If you haven’t seen Behind Mansion Walls, you ought to give it a try. The host is a distinctive character and really grows on you after a few episodes. I think Christopher Mason is a perfect fit for the job and love seeing him on each of the shows.